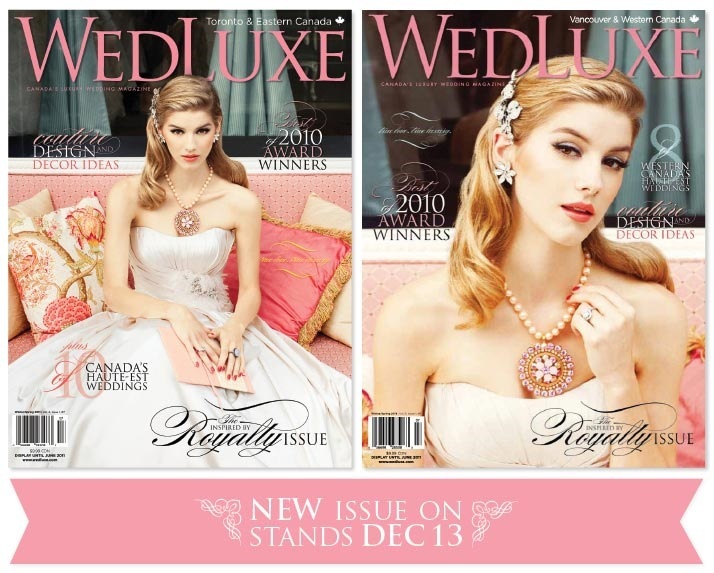 Wedluxe is Canada's luxury magazine. On stands now is the Winter/Spring 2011 edition featuring decadent couture, design and decor ideas. I personally love this magazine because I can flip for hours, read article after article and not get bored to tears! Mia Bridal Co. also happens to be part of the very exclusive 'Glitterati' gang! We're honoured to be considered one of the finest wedding professionals in Canada. We've been chosen and invited to participate in the magazine because we are considered to be amongst the best. Get your copy of this magazine, I know you'll love it as much as I do! !